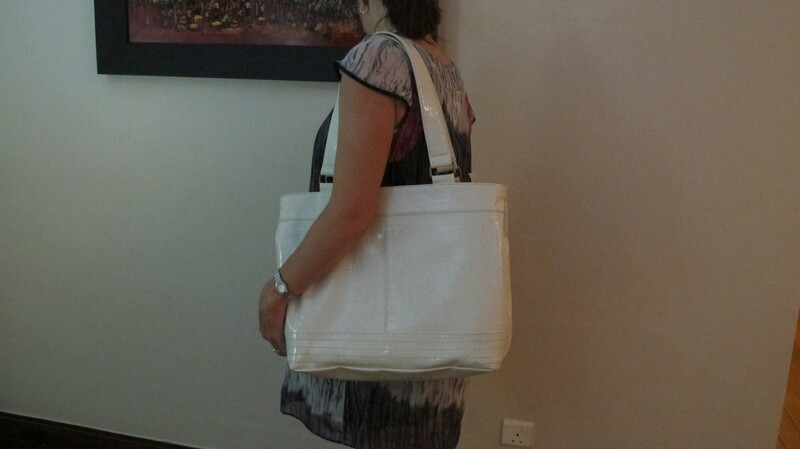 Today I got up early to go to Long Kanh province which is where my bags are made. 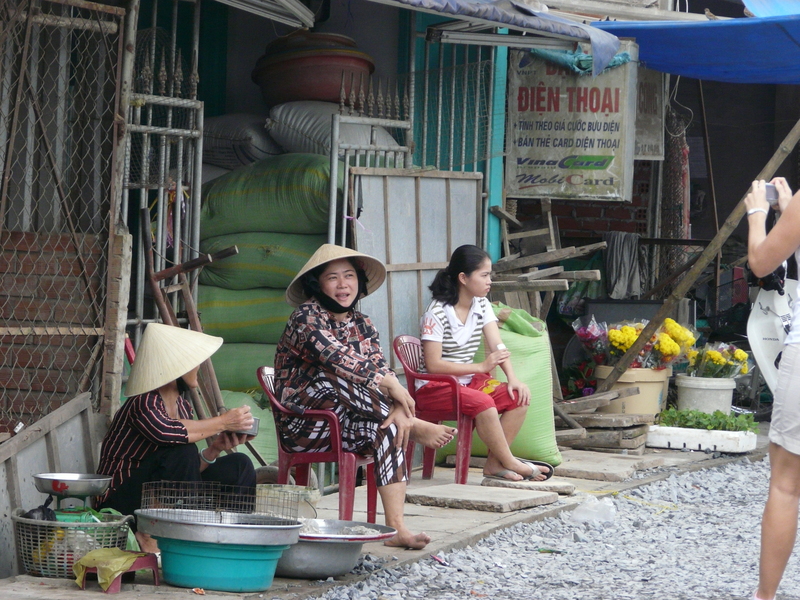 It is not that far in distance but on the Vietnam roads takes about 2 hours. I love looking out the window on the drive up, it is amazing the different things you see, small shops selling metal clothes rails, coffee shops, all manner of industrial items from piping, diggers, glass, paint, to the beautifully displayed fruit stalls. People are just sitting around chatting, playing cards, you wonder how things get done around here, sleeping seems to be a major part of the Vietnamese day, you will find them sleeping on their bikes, in hammocks under trucks. I have even seen someone sleeping in a hammock in-between a bus shelter. Even in offices people will turn off the lights lay on the floor and have a sleep at lunch-time. I was visiting the girls who make my bags, to design a new bag, I have the "Amelie" bag (big bag) the "Ava" bag (medium bag) that has just hit the streets of Vietnam, coming soon to the UK, so now I want a bag that goes across the body (baby bag) For those of you not in Vietnam a little preview of the Ava bag, it will come in 5 colours, Cream, Purple, Black, Brown and Silver. I am designing an over the body bag, that you can just throw over your body and have your hands free. It will have the Mia Tui signature interior, bright colours, pockets, clips and water-bottle holder, and of course the clear insert bag . I am going to run a competition to name the new bag.. the winner will get to have the bag named after them or a loved one, and they will get to keep the 1st bag made. So watch this space. Hey C! Looking forward to seeing the new addition…has the contest started? If so, I’ll throw in Daphne who is one of my beautiful nieces. She’s a killer! Blind in one eye since birth and top scorer on her competitive hockey team. She’s a tough cookie, beautiful, and rises to the top of any challenge or when faced with adversity. Very Nam-like actually! Love the Ava bag, I am definitely having that in either brown or black. Can’t wait to see it on the website to buy!